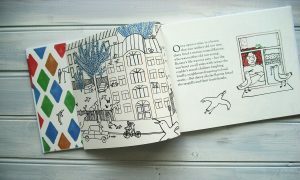 We want to start publishing original picture books for children (we’ve only published translations so far). We are looking for manuscripts! The manuscripts will be read and selected by the Emma Press editors: Emma Wright, Yen-Yen Lu, Charlotte Geater and Philippa Barker. We are aiming to select 1-4 manuscripts, to be published in 2020-2021. We are particularly keen to see picture book manuscripts from authors who are underrepresented in publishing. We are keen to see submissions from BAME writers, from writers with immigrant backgrounds, from LGBTQ+ writers, and from disabled writers. We are seeking new stories, and fresh perspectives on the world for a curious, contemporary readership. You can read more about what we’re looking for in the press release. If you would like to submit, please send us your story by 20th April 2019. How many? Submissions are limited to ONE per person, or TWO for Friends of the Emma Press. You can read more about our subscription scheme here. If you have several stories you’d like to submit and you’re struggling to decide on which one, choose the one you think is best suited to the Emma Press. What kind? The books can be rhyming or prose or a mix. Your main guide for what we might like is what we’ve loved enough to publish already – check out our children’s books in our webshop. Crucially, we want the book to be just one story – not a story per page or spread. Just one story, told throughout this one book. If you would like to do a collection of stories, keep an eye out for if we do a call for submissions in 2020 or 2021. How old? We want to publish books suitable for children aged 4-11, but on the wordier side of things and at the slightly older end. We love the translated children’s books we’ve published so far, which are suitable for children aged 4-11 but aimed more at 7+ – take a look at them to see what we mean. We’re not interested in publishing books for babies right now, or books with very little text – we want something more substantial. How long? We can’t tell you how much text should be in your story, but bear in mind that there will be 15 double-page spreads in each book, and obviously there’s got to be room for the pictures. Take a look at The Dog Who Found Sorrow and Queen of Seagulls to see different text-to-image ratios which work well. We’re not going to give you a word count, as it will vary according to what kind of story you’re telling, but do bear in mind the text-to-image balance in the books we’ve published already – we don’t want just a line per page, and nor do we want to cram as much text onto one page as possible. If your manuscript is 1-2 A4 pages in size 12 font, with line breaks between each paragraph, you’re on the right track. Who illustrate? We are looking for manuscripts that we believe in, and we plan to find illustrators for the manuscripts we choose, working with the authors to find something we all love. As such, we’re not looking for illustrators right now – that will come when we’ve selected the manuscripts. If you are a writer-illustrator and would like to illustrate your own manuscript, there is space in the submission form for you to mention this and link us to your portfolio. If there is an illustrator you would like to work with, you can mention this in the form too. If there is an illustrator you absolutely must work with and they’ve even started work on the illustrations already, again you can mention this in the form. For all the above, do bear in mind that Emma Press books have a particular aesthetic and try to get a sense of this from looking at what we’ve published already. Make sure you’re a member of the Emma Press Club. This means you must have bought a book or ebook from the Emma Press website in this calendar year (i.e. since 1st January 2019), or already have been accepted into an Emma Press book. 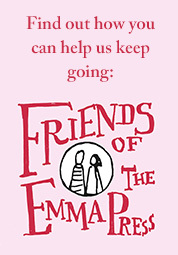 If you’re a current Friend of the Emma Press, this counts too and you can have up to two submissions as a thank-you for your support. Get your manuscript ready. You’ll be pasting it directly into a box in the form (this is to stop people sending us massive bits of artwork), so the formatting doesn’t need to be fancy. Just make sure there are line breaks or an asterisk between each paragraph, to indicate where you want to start a new page. Scroll up to the ‘More information’ section if you’re not sure how long your manuscript should be. Fill in the Google form here – it will magically tell you everything you need to know! If you have any problems with it, drop us an email on hello@theemmapress.com (but not if you just want to email us artwork – that defeats the point of the form). The deadline for submissions is midnight at the end of Sunday 20th April 2019. We will reply to everyone who submitted – please sign up to our newsletter to see updates on our progress. 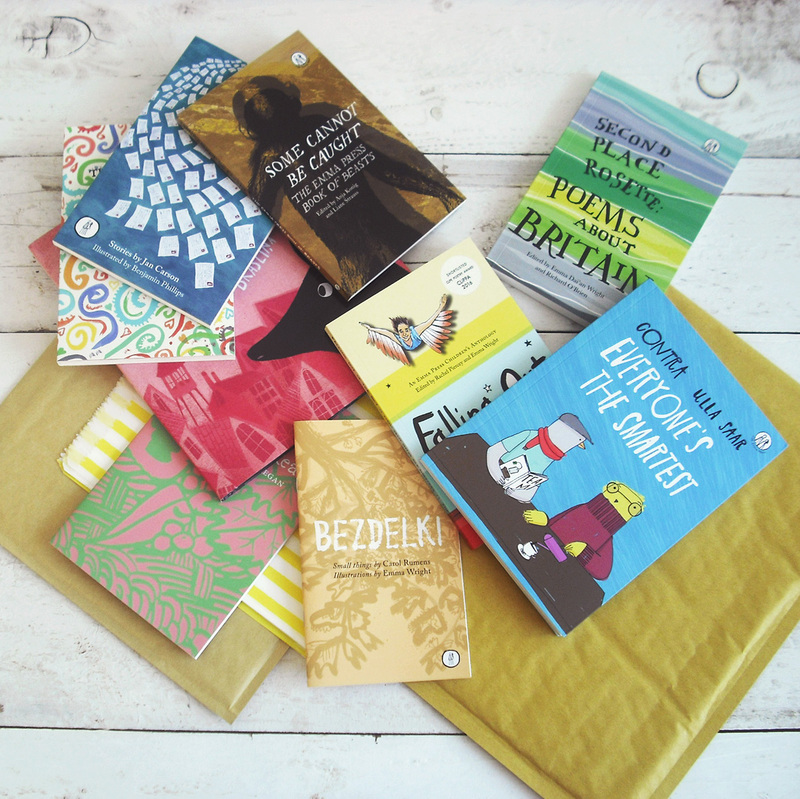 Will you consider translations for your poetry anthologies and pamphlets? Yes, we are always happy to see translations. Translators can submit multiple proposals (i.e. one per author). Will you consider translations for your picture books? We’re not looking at translations in this call for picture book manuscript submissions, as the point of it is to create our own original books rather than buying rights from other publishers. We do of course publish translated children’s books, so if you are a literary agent and would like to pitch something to us, drop us an email or arrange a meeting with us at the London Book Fair. Does the writing in your anthologies and pamphlets need to be unpublished? It’s fine if your poems/stories have been previously published, but please do check with those publishers or publications that you still hold the rights to your poems and can licence us to publish them again with no additional payments or paperwork. Does the writing in my picture book manuscript need to be unpublished? Yes. See above for the question about translations – we are looking for new and original manuscripts which we can work on with the authors. If you come to us with something you already consider to be finished, because it’s actually been produced in print or online, the editorial conversations are likely to be quite awkward. Do I have to arrange for my book to be illustrated? Not at all – we will work with you to find an illustrator we’re all happy with. Experience has taught us that it’s best for us to manage the commissioning and briefing of illustrators. I don’t live in the UK – can I still submit? Yes, we welcome international submissions. You’ll need to buy a book/ebook from our website if you’re not already an Emma Press author, in order to join the Emma Press Club. If you don’t want to pay for the international shipping, you could always buy an ebook. We send updates on our progress in our newsletter, so that is the best place to look if you’re wondering when you might hear back from us. We do reply to everyone, and we read all of the submissions very thoroughly, so thank you for being patient with us. Will I get feedback if my submission is unsuccessful? We will email everyone to let them know the verdict on their submission, but we can’t offer individual feedback. What happens if you do like my writing? We will let you know by email and take it from there. We will probably have some suggestions for tweaking or developing your writing further, so we’ll explain that all in the email. We offer each anthology poet two complimentary copies of the book and a discount on future purchases of the book. Pamphlet and picture book authors get royalties and complimentary copies. We only publish writing which we utterly love and believe in, which means the matter of what we publish will always come down to our personal tastes. If we can’t publish your work, it’s not a judgement on the quality of your writing so much as a reflection of our personal preferences in writing. 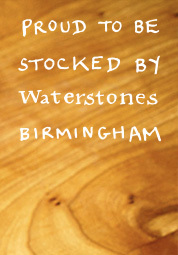 If you would like to get a sense of our tastes, do take a look at the books we have published so far. Watch this space for the next call for submissions, or sign up to our newsletter below to hear about submissions before anyone else. You can read our blog about processing submissions over on the Emma/Valley Press blog.